for Class 1 & Class 2 Individual Entries only. Brendon Horse & Rider Centre, Pyecombe, BN45 7ED. Entries close at midnight on Saturday 9th March 2019. I agree to the competition Rules & Conditions of Entry. Hat conforms to the BRC Hat Guidelines 2018. 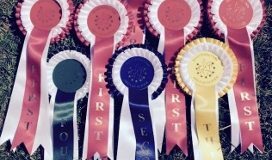 To enter the Ardingly Riding Club Unaffiliated Dressage, (Classes 1 & 2), and/or the Non-Qualifying Area 13 Dressage as an individual, (Class 2), please press the 'Submit' button. You will then be transferred to another page where you will be able to Pay for your entry.